By now, I think we’ve made it pretty clear that the people in our community are very special. Today we shine the spotlight on the owners of MISSIO Hair who have dedicate their lives to fighting human trafficking. 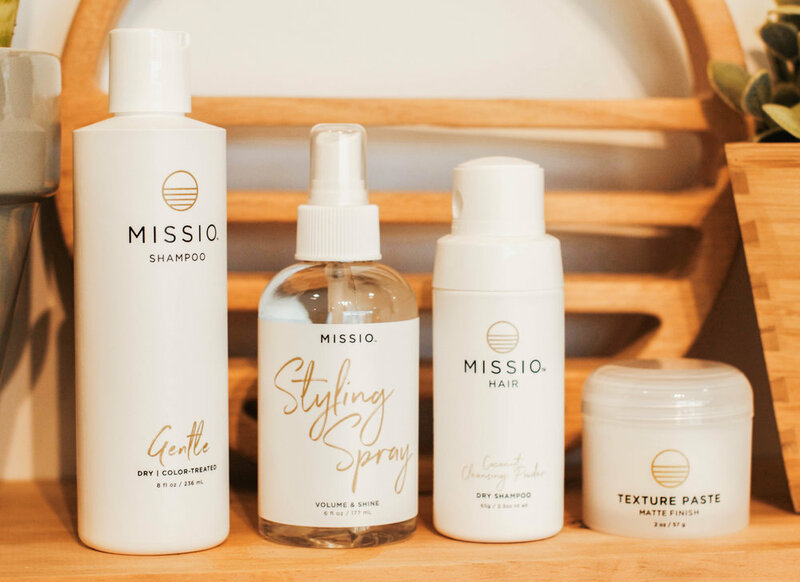 We were lucky enough to sit down with Kyle Van Zandt, co-owner of MISSIO Hair, to get the ins and outs of why MISSIO is such a remarkable brand. MISSIO Hair is unique for many reasons, one of them being, because its co-founders also happen to be in love. Lorin and Kyle Van Zandt met in college while Kyle was in a band. When describing his college look Kyle says, “I had this long, shaggy, blonde hair. Hair has always been a part of our story” (Haha). Right out of college, they decided to tie the knot, and during their first year of their marriage they decided to sail to Guatemala and serve. Kyle explains, “We set a precedent in our marriage to take risks and go for big things. We decided that we weren’t going to settle for comfort.” They promised each other they would continually push the limits from the beginning. For a while, they spent time teaching and Lorin took the time to become a professional hair stylist, but they were itching to make a difference in some way. One day, a friend told Kyle and Lorin that they could easily use business to make a big impact. They always thought of going in the non-profit direction, but would always fall short when it came to their revenue goals. They realized business was the best way to execute their initiatives. With their combined love of serving others and Lorin’s love for the beauty industry, Kyle and Lorin decided to start MISSIO Hair. While it is obvious why Lorin would want to sell hair products as a hairstylist, some might ask why Kyle wanted to get involved. Growing up, Kyle did volunteer work in Romanian orphanages with his family. This resulted in his parents adopting three Romanian girls. Kyle was always curious about what would happen to these kids if they didn’t get adopted and what would happen to his sisters if they didn’t adopt them; the answer was human trafficking. A pivotal moment in Kyle’s childhood was when he saw a girl not older than 10 years old waving at the bus he was on. This might not sound like an unusual situation, but picture a much older man hovering over her and it becomes a real uneasy sight. Later in life, Kyle realized the girl was soliciting at an extremely young age. That visual has stuck with Kyle for many years. Experiences like these are what pushed Kyle to want to fight the injustice of human trafficking with his wife, Lorin. 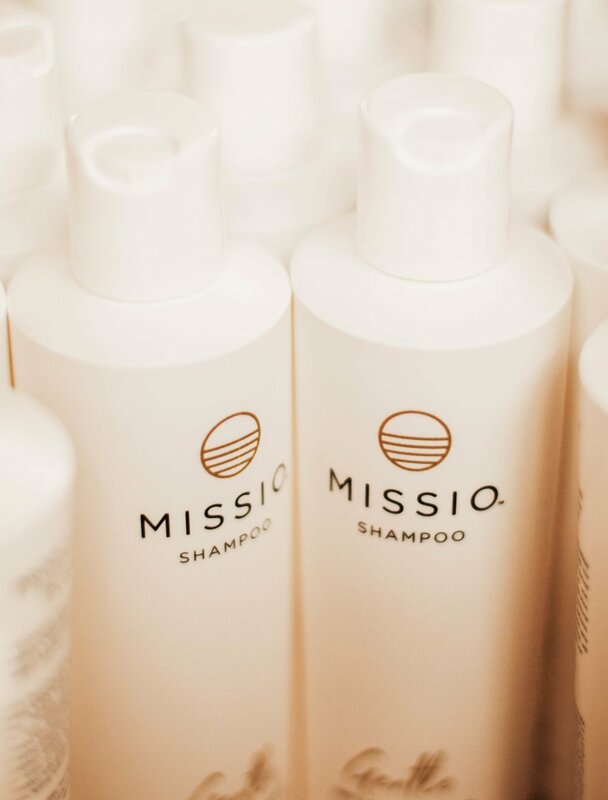 MISSIO Hair sells a line of products that serve as a vehicle to fight human trafficking. These products are sold to stylists and salons who then use their unique position in society to raise awareness about human trafficking to their clients. Kyle wanted to make it clear that MISSIO is so much more than just him and Lorin. MISSIO is the movement of people in the fight against human trafficking. Kyle and Lorin continuously work to create a culture and company where people feel like they’re a part of something bigger. Recently, MISSIO Hair was lucky enough to be one of the 90 out of 800 businesses handpicked for Chip and Joanna Gaines’ Magnolia Market at the Silos. They had a blast and were honored to a part of it. Along with the excitement of being picked for Magnolia Market, Kyle and Lorin were excited to be a part of something Chip and Joanna Gaines were doing. Kyle says, “you know they’ve gone through everything we’re going through; working together, building a business, raising a family, and to see where they are now while still being down to earth people is inspiring.” The Cargo District is honored to have the next Chip and Joanna Gaines be part of our community! 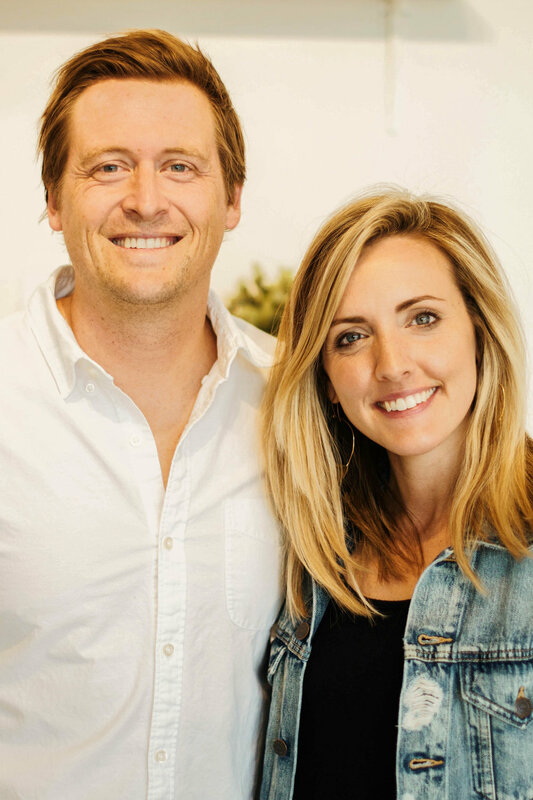 As business and life partners, Lorin and Kyle, do everything together from parenting and grocery shopping to strategizing, accounting, and product developmentation. Kyle’s personal goal is to do as much as he can behind the scenes to empower her, because he believes in her and what they’re doing so incredibly much. Ultimately, Kyle and Lorin’s passion for what they’re doing and their love for each other overpowers any disagreement they could ever have. We are proud to have MISSIO Hair here as a part of our community. Fortunately, Kyle and Lorin are just as honored to call The Cargo District MISSIO’s home. Kyle said when they first arrived at The Cargo District, “there was an entrepreneurial energy here that was contagious.” At that time, MISSIO was just beginning, and Kyle and Lorin wanted to be surrounded by people that we’re doing great things to motivate and inspire them. When it was all said and done, The Cargo District transformed a garage into a salon space, a coworking office space, and a warehouse in a way that really captured MISSIO’s brand. We love what MISSIO Hair is doing, and we love Kyle and Lorin. After hearing their story how could you not? The Cargo District fully supports the use of beauty to restore hope and we can’t wait to see the big things that MISSIO Hair is going to do in the future.